Jordan Kopf, men’s lacrosse player, scored seven goals last week; five against Howard Community College and two against Hartford Community College. For this achievement, Kopf is this week’s Campus Current’s player of the week. Joe Stanilaus, head men’s lacrosse coach, agreed it’s been a tough season so far for the team. Despite the season’s difficulties, Stanilaus noted the team’s developing strengths. “Offensively, we’re starting to score more goals,” he added, indicating efforts made by Kopf and other high scorers are contributing to the team’s tournament goal. Both Kopf and Stanilaus pointed out that practice is key. Kopf felt the most meaningful game he played in so far was the home game against Essex. Next year Kopf plans to transfer to York College in Pennsylvania and join their lacrosse team. He stated his experience at AACC made him a stronger player. 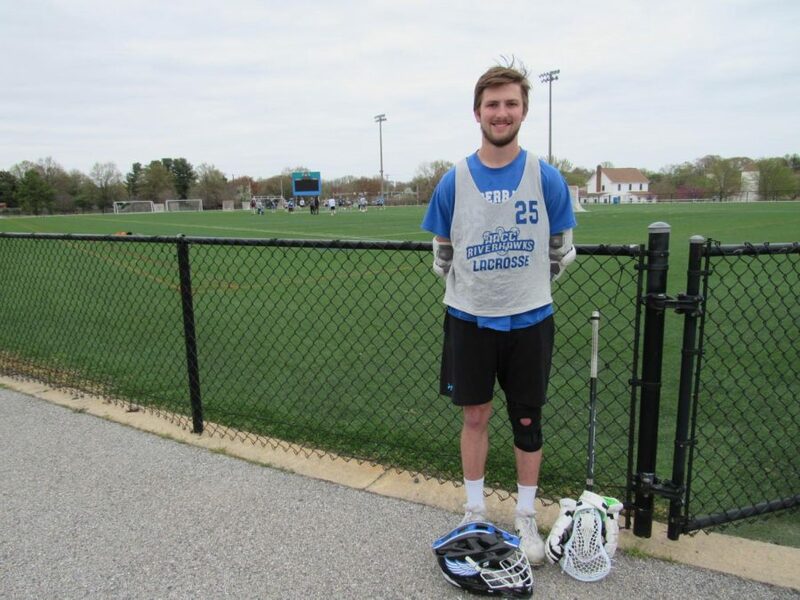 For his ability to score goals to help the AACC men’s lacrosse team advance, while also working hard to advance his own educational goals, Jordan Kopf was selected as this week’s Campus Current’s Player of the Week. Make us proud at York College!